You’ll need to build a shelter, your own den in the woods. 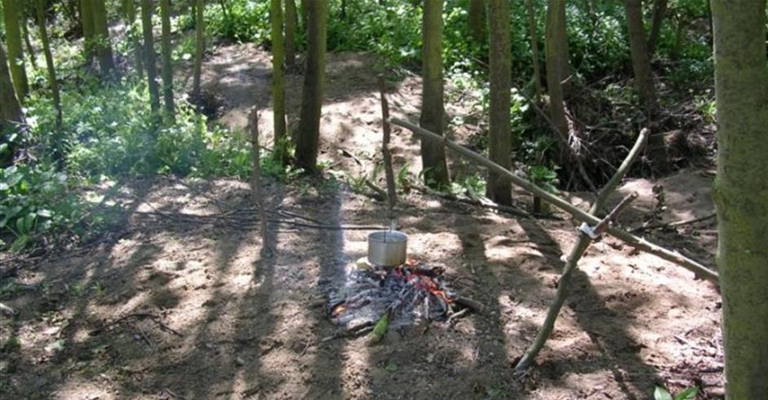 You’re going to eat so you’ll build and light your own camp fire (but no matches!). You’ll cook your BBQ food and then sitting round the fire you can have a go at making an elder-wood pea-shooter or a string bracelet from nettles! The activity leader, Bruce Ferguson from Wild North Discovery, is qualified through the Institute for Outdoor Learning to teach bushcrafts to groups and has been involved in bushcrafts and woodland skills since 1987. Phone Bruce Fergurson on 01388 529154 or book through the Wild North Discovery Website. Children should be over 5 and there should be a maximum of 2 children per adult. Meet at Hamsterley Forest Information Point. Eat before you arrive and bring food to BBQ. Bring water-proof clothing and sturdy footwear.